Okay I am totally (I like that word) running behind so we have a combo post. 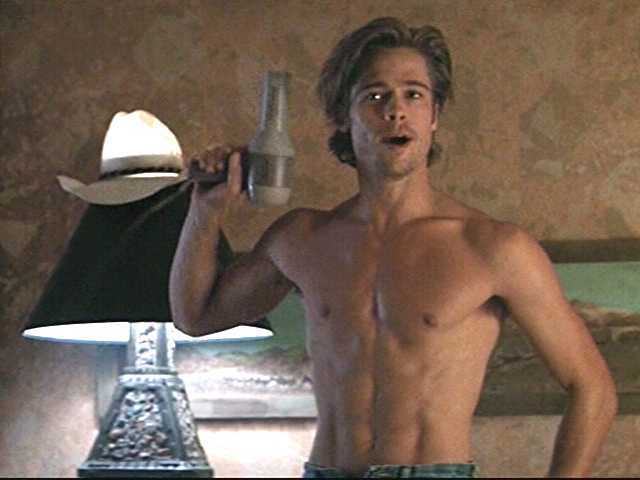 Loved Him Then, Love Him Now, Totally Shirtless Brad Pitt. Brad has continued to take his shirt off and has continued to charm us. I know not every one is a fan but I think he’s incredibly versatile and has incredible comedic skills. So I loved him then, love him now and he’s totally hot and totally shirtless Brad Pitt. for a very special Shirtless Saturday tomorrow. I promise to bring not just one but multiple men who are totally hot and totally shirtless.